How do the four North American apple species fit into this story? Are apple maggots only pests to the Eurasian domestic apple and North American hawthorns, but not the native apples? That would be intriguing. What an interesting question Steve. One wonders if native apples have previously evolved resistance to your native questing hawthorn maggots and whether the new apple maggot will evolve to attack your native apple. That’s a good question. I found this paper https://www.msu.edu/~bushfly/73_Feder_&_Bush_1989.pdf Which mentions that the native species of malus are not hosts for Rhagoletis pomonella (apple maggot) I would expect that they have their own species of fruit fly, as it seems like nearly every fruit in the US has a Rhagoletis species that specializes in it, but I can’t find anything confirming that. 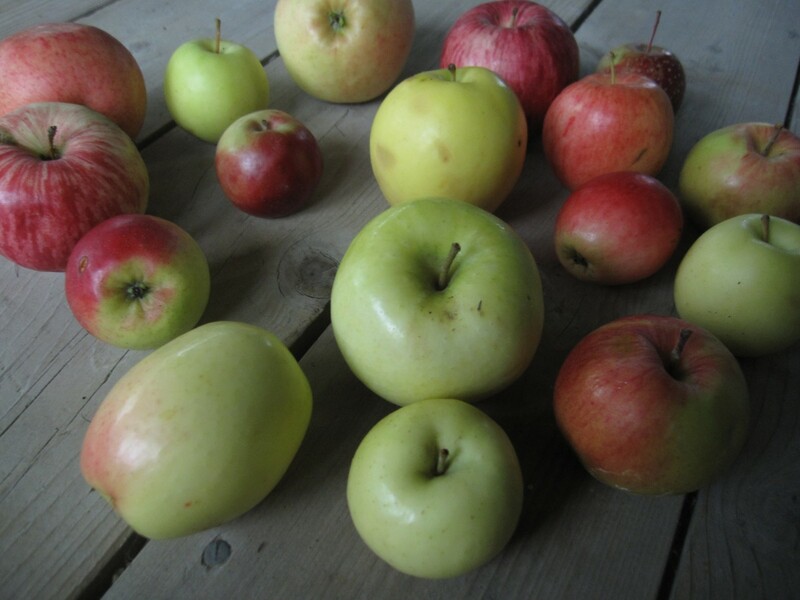 Given the native apples are not economically important, there isn’t much research on them to be had. Whether the native apples have a fruit fly of their own or not, it is evidently that of all the many different fruit flies native to the US, the one attacking the hawthorn (Crataegus mollis) was the one that could — and did — make the switch to introduced apples the quickest and easiest, and presumably once it was established making use of the apples it could out-compete any other individuals that might start evolving that way as well. My guess is that the hawthorn ripens the closest in time to the introduced apples, and has the most similar smell, so the hawthorn fruit flies could make the switch more easily than a fly which specialized in a species ripening earlier or later, or had evolved to be attracted to a more different smelling fruit.